The tunnel to ROSEDALE, one of Canada’s wealthiest neighbourhoods, leads to a wooden footbridge spanning the Rosedale Ravine. Entrance is on Glen Road, north of St. James Town. 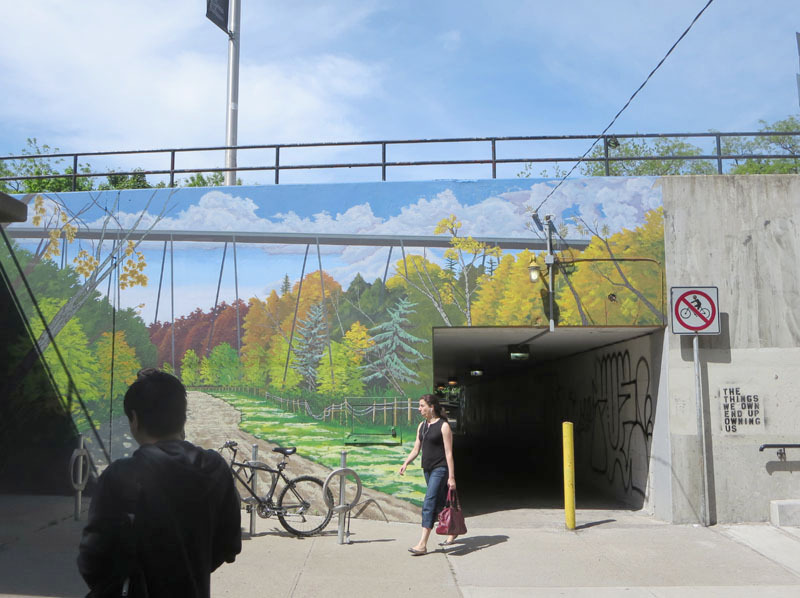 This entry was posted in Art & Design and tagged Canada, Ontario, Rosedale Tunnel Toronto, Toronto. Bookmark the permalink.